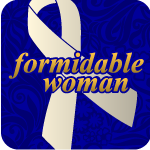 Fws begins: a collection of poetry, creative non-fiction, visual art and photography by women, for women on the experience of becoming formidable. The work you will find here supports, encourages, uplifts and inspires. It may delight or amuse you. It may give you hope. It may challenge you to stop or begin. It may open your heart or give you pause. However you engage with the work you find here, our hope is that you find yourself better for it, more able to live into the largest, most authentic, most beautiful, wildest self; that being here helps you become more truly you. We are currently reading personal essays & poetry and curating original fine art, & photography by and for women that amuses, empowers, encourages, educates, or inspires. We are looking especially for metaphysically broad and thoughtful work that speaks to how the work of becoming a formidable woman in the world is done, especially the work of developing and living into an individual spirituality and an awakened consciousness that thrives on authenticity and deep self-compassion. We look for work that tells the truth: about victories and failures, about how to carry on. We are also interested in work that engages and celebrates the natural world. Please read some of what we have published here (see the drop down menu for issues) to familiarize yourself with our preferences before submitting. We read year-round and we are looking very forward to reading you! See guidelines and submit here.